China is not only one of the most important countries in the world in terms of business and commerce, it is also a mysterious and rather wonderful place to visit for a vacation. A radically different culture to that we are used to in the West makes it a fascinating experience. 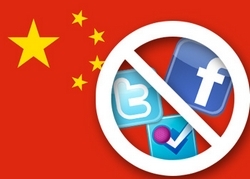 This culture gulf has led to the Chinese government censoring internet usage in no small fashion: the famous ‘Great Firewall of China’ not only blocks the likes of Facebook and Twitter, but also many other web sites that it considers unsuitable for the Chinese population. For visitors wishing to keep in touch when in China, this presents a real problem. Despite what you may have been told, unblocking Facebook in China is not at all difficult, but you do need to subscribe to a Virtual Private Network, or VPN. It works like this: when in China, if you try and load Facebook the DNS server you get connected to will be a local one. It will detect that you are attempting to access blocked content, and refuse you entry. What a VPN does – among other impressive things – is allow you to choose a server to access beyond the firewall; choose one in a country that allows Facebook access, and you have it. In effect, you are fooling your smartphone, tablet or computer into believing you are not in China at all! The added beauty of a VPN is that it protects your identity; your information will be fully encrypted, and will not be accessible by hackers or other agencies looking for your identity. You can unlock Facebook, Twitter and a whole wealth of Western websites in a matter of minutes, with a simple, affordable VPN package, and completely anonymous when doing so. The VPN is an important tool for both business and personal users, and not just when travelling in China, for many other countries also block certain types of content. Look for an established, reputed name and enjoy your browsing to the full, wherever you may be.